The world needs food, and with the global population set to exceed 9 billion by 2050, we’re going to need a lot of food. Unfortunately, we don’t even have enough food to feed the people we do have. 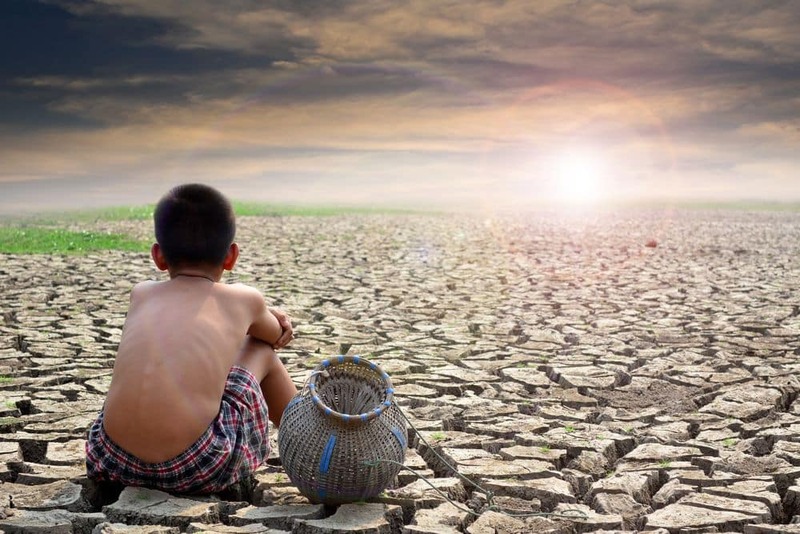 About 800-900 million people aren’t even getting the minimum food requirement to be considered “nourished.” How does climate change fit into this rather bleak picture? Climate change is a huge problem when it comes to global food production. According to the head of Agriculture Innovation in Africa, climate change’s impact on developing countries is understated and fails to account for how many farmers are forced to reduce crops or give up entirely. By just reporting how much food is being grown instead of letting people know how much food was lost, stats aren’t giving the whole picture. Another aspect of climate change that stats can’t capture is the effect on the economy and politics. When people are hungry, violence follows. Just think about the French Revolution and how that reached its boiling point because people were starving. Climate-change researchers anticipate that will happen again in areas where food insecurity is already a problem. The Taskforce on Extreme Weather and Global Food System Resilience anticipates that food price spikes and shortages will begin to rise exponentially by 2040. What does this mean for the food you enjoy? It isn’t good. Livestock eats corn, and corn is going to be hit hard by climate change. Global corn production is already 4% lower, and a global temperature rise of 1.8 ℉ will slow the growth rate by 7%. That means fewer livestock, which means less beef for your hamburgers. As Co2 levels rise in the ocean, the water becomes more acidic. This leads to weaker mollusk shells and fish, since they need time to adapt to acidification. Since the industrial revolution, ocean acidity has gone up by 25%, and it’s not slowing down. Africa and Latin America depend on beans as a source of fiber and protein, which makes lower bean production a real problem. Bean production has been down 25% in some regions, as higher temperatures threaten crops. Excess rain from climate-change events like floods and storms are also a problem. When the temperature rises in tropical climates where coffee grows, “coffee rust” fungus threatens to wipe out crops. Climate change also causes drought, which raises prices. In Africa, areas that work for coffee plants could dry out, leading to a 65-100% loss of coffee-growing land. Cacao, the raw ingredient used in chocolate, is affected by higher temperatures and less water. Production is already done compared to years past, and it’s going to fall even more in the next decades. Stone fruits like cherries and peaches need cool nights in order to grow properly. However, as temperatures rise, that means fewer cool nights and fewer fruits. Unpredictable weather events like late freezes can also be a problem, like in 2012, when Michigan lost 90% of its famous tart cherry crop. These are just a few of the foods that will suffer due to climate change. One can hope that governments take action and allocate resources for research that will create stronger, climate-change resistant crops, as well as fight climate change. If you want to do something at home, steps like eating less red meat, buying locally-grown produce, and wasting less food are all effective.